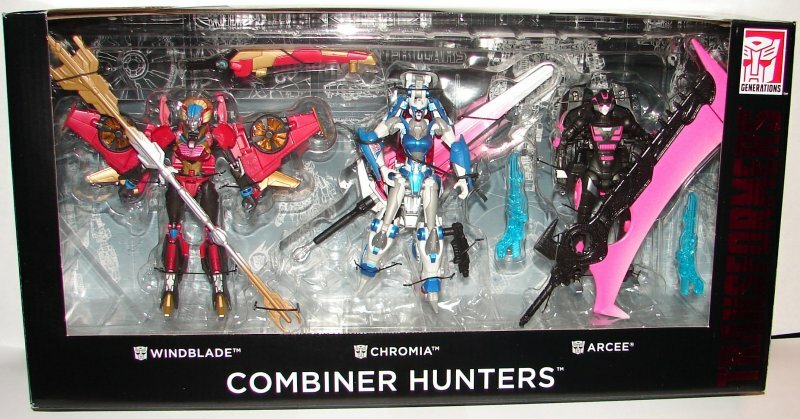 I don’t get this whole Combiner Hunters thing, though I admit to not reading the comic. There is no logic for three regular size Transformers hunting combiners. Doesn’t matter if it’s Arcee, Chromia, and Windblade, or Ironhide, Prowl, and Jazz. It just makes no sense, and the cartoonishly enormous weapons don’t help any. 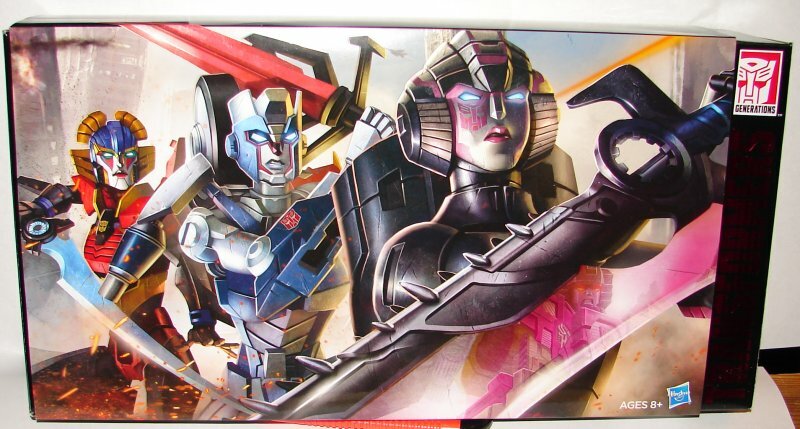 Read my original reviews of Arcee, Chromia, and Windblade. Arcee looks really cool in this color scheme. They did a really nice job on the paint apps, and the color details really pop against the black. The enormous sword, which originally came from Transformers Prime Beast Hunters Optimus Prime is too big and looks really ridiculous. Had they used the version of the mold with closed hands at least it might be easier for her to hold it. 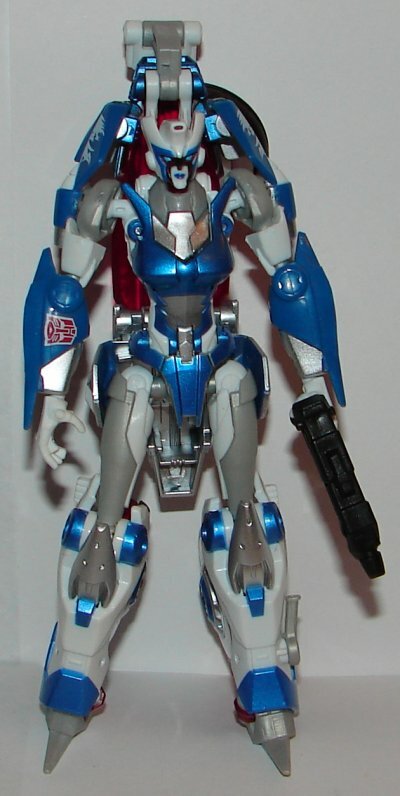 Chromia looks pretty cool in these colors, but I liked her original color scheme better. 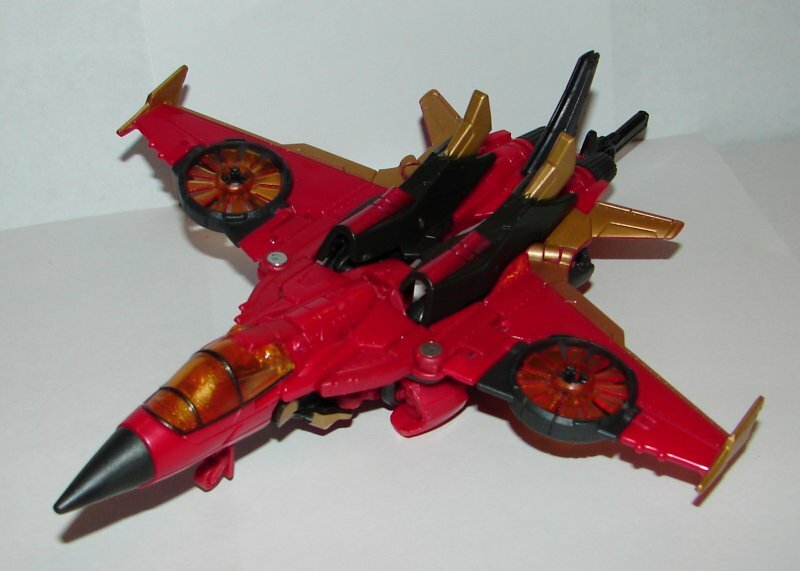 Still, not a bad repaint. 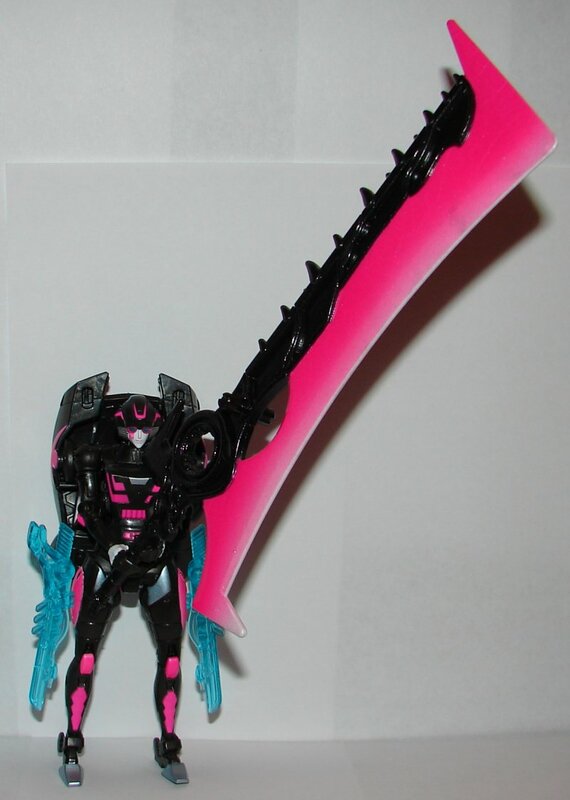 The sword, as with Arcee, looks ridiculous. I am however curious where they got this sword. I don’t recognize it. 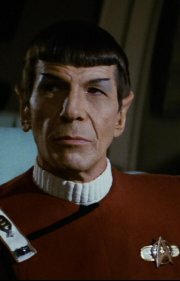 If you know where they got the sword, please leave it in comments, I’m really curious to know. 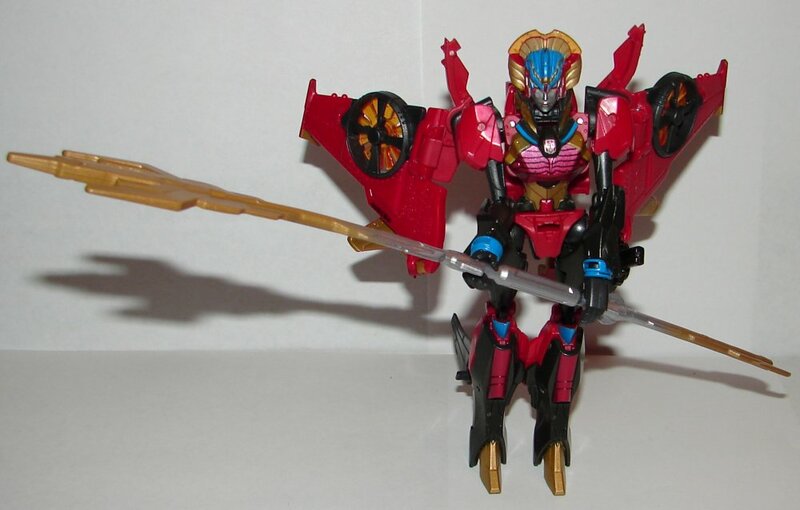 Windblade looks great in red, black, and gold, but the mold still isn’t very good. It still has the same flaws as before, her feet sticking up on the jet, the vertical stabilizer won’t stay together, and overall she doesn’t snap together well at all in vehicle mold. Robot mode is pretty good though. I have no idea where this extra weapon came from either. It’s not quite so cartoonishly huge as the two swords, but still doesn’t go with the toy. The weapon is pretty cheap plastic, and mine has a curve to it right out of the box. Overall: This set really isn’t worthy of they hype. The whole Combiner Hunters thing doesn’t make a lot of sense. Though the toys look nice, I would have rather it have been cheaper and not had the stupidly enormous weapons. 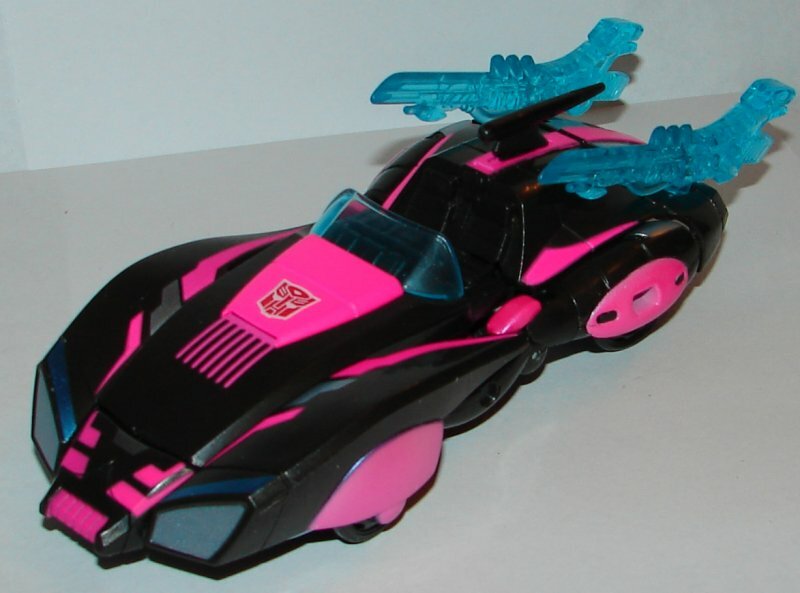 This entry was posted in Toy Reviews, Toys, Transformers and tagged Arcee, Chromia, Combiner Hunters, Combiner Wars, Generations, San Diego Comic Con, SDCC, Toys, Transformers, Transformers Generations, Windblade. Bookmark the permalink. 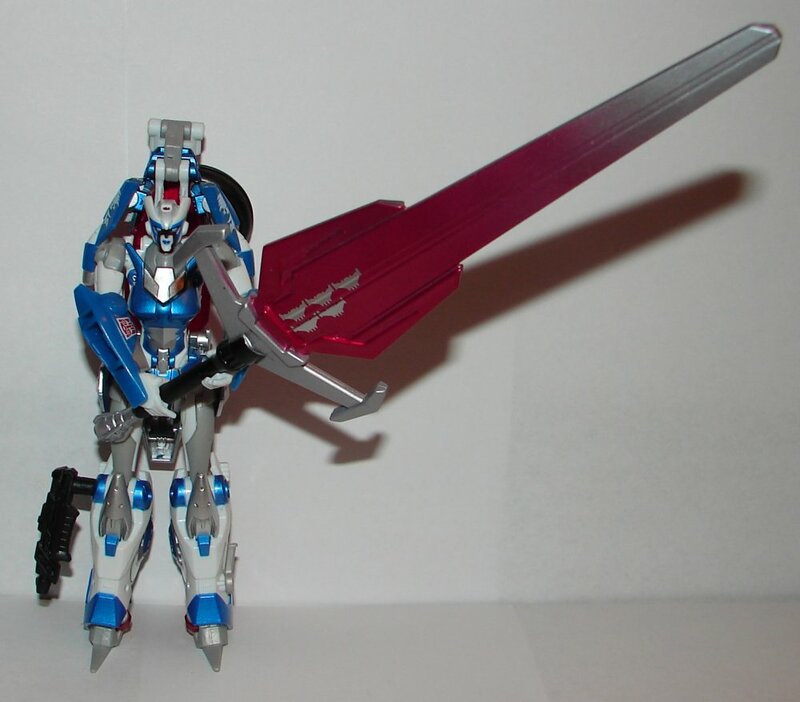 Sword came from Titan Heroes Optimus. 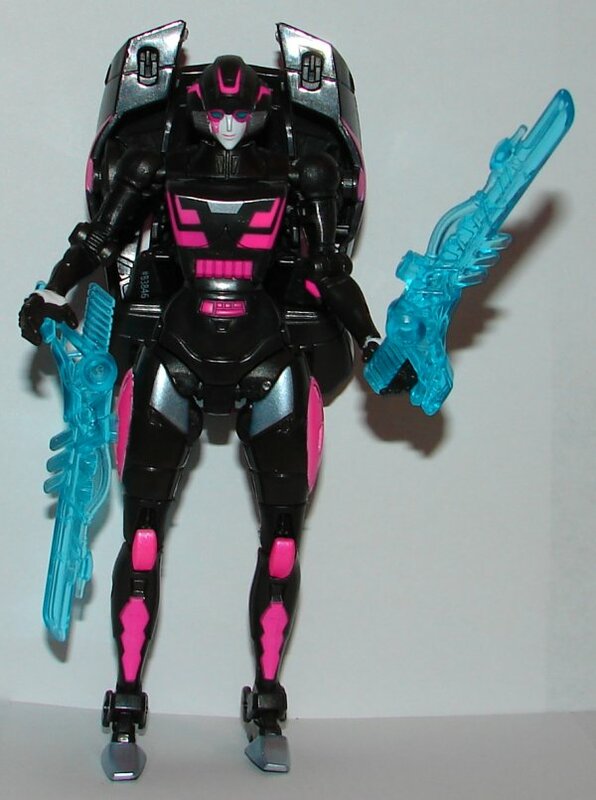 Uhm.. Arcee is… interesting in this scheme. A bit too much black but interesting. 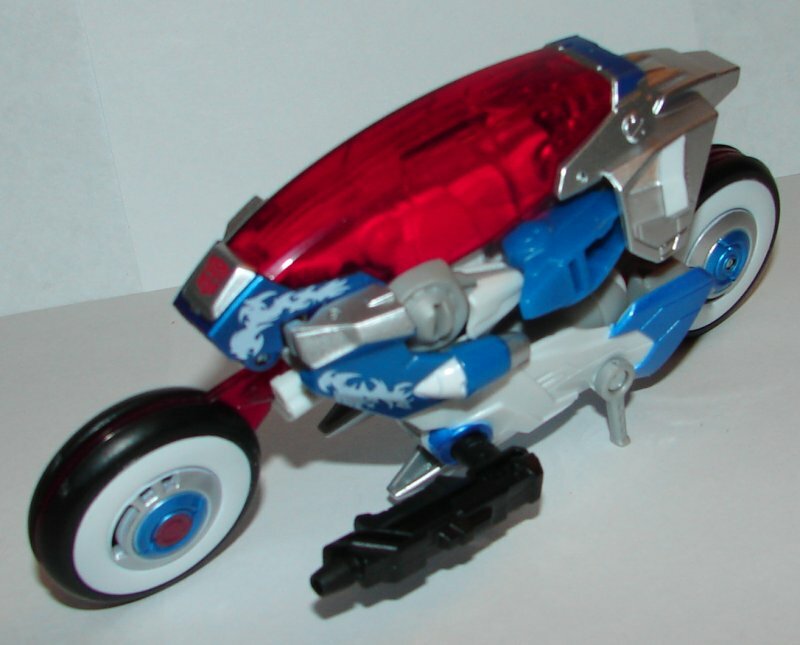 I like Chromia scheme in vehicle mode but less in robot mode, maybe the face marks are too big, I don’t know. 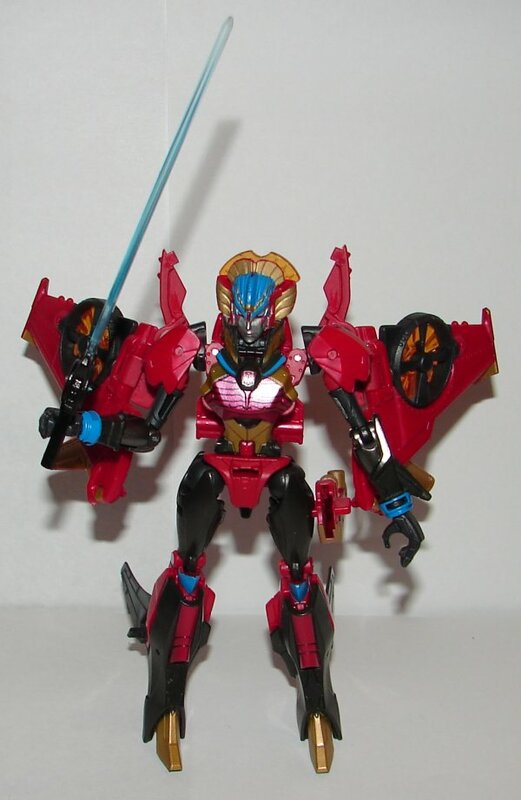 About Windblade I like her original scheme better.